← No. Box. Brownies. EVER!! Or at least, what slatterns are interested in….. Happy Memorial Day, folks. 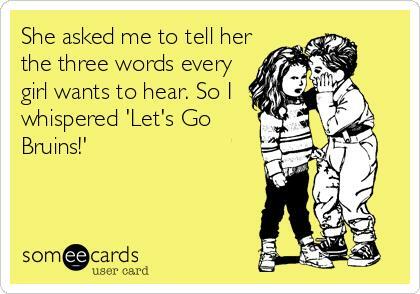 And GO B’s! Posted on May 24, 2013, in Sports and tagged Boston Bruins, Hockey, Kitchen Slattern, NHL, Slattern, Stanley Cup. Bookmark the permalink. 7 Comments. Oooh, yes to all of those! The Senators are out, so okay…go Bruins. They’re still playing hockey? It’s stickball season. Tune in Tom! Loads of fun.